Today we will take a look at one of the greatest players ever, Tim Duncan. While some will say that his true position is a 5, he has been considered as the greatest power forward ever by many basketball fanatics. This is because he still played a good chunk of his career as San Antonio’s starting 4 and it just happened that the league was in a transition period after that which made the Spurs change their identity along with Duncan’s. We will take a look at the factors that make him great. 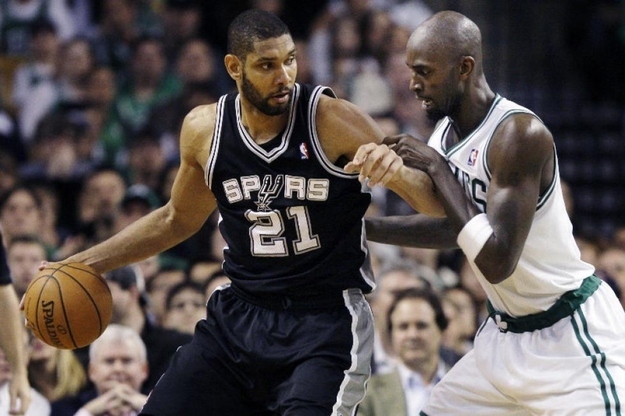 Everyone knows who the “Big Fundamental” is, Tim Duncan. He was given this nickname because of how fundamentally sound his game is. He is not as athletic as some of his peers, but he still is the best at his position despite this limitation. This is because of his mastery of the basics which gives him the mental advantage every time he goes up against the more athletic players in the league. From his post moves, passing, off-ball movement, you could see that he knows what he has to do every time and more often than not, this results in something that is favorable for the Spurs. While he is not as athletic as some of his opponents, Duncan’s play at the post has been one of the best in his prime. With his impressive footwork and steady moves, opponents always have a hard time anticipating his moves down low. Another thing that helps is his incredible length, which also requires his opponents to make uncomfortable moves just to challenge his shots. Lastly, what makes defending Duncan at the post a nightmare is his passing skills. His assist numbers are not that high as compared to someone like Kevin Garnett, but make no mistake, he is a better passer than him because his passes are not only targeted to the open guy, but also to the guys who are in position to make the pass to the one who is open. 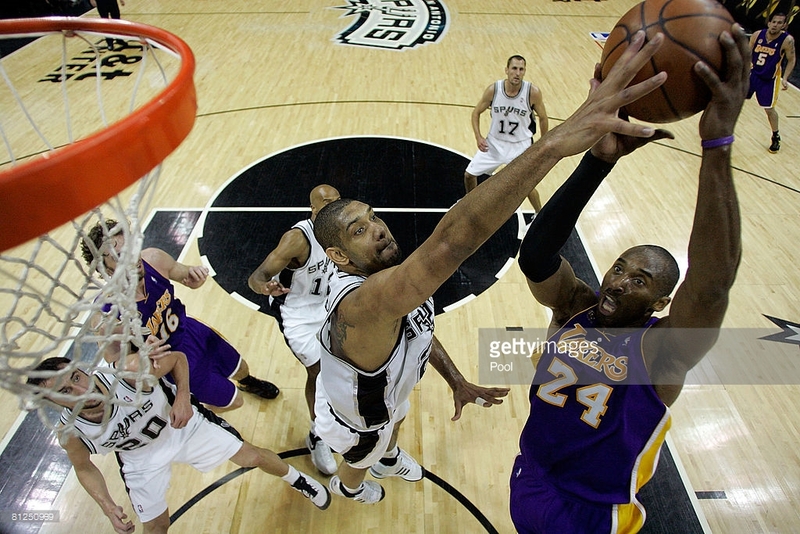 Perhaps the most important aspect of Duncan’s game, especially during his late years, is his defense. 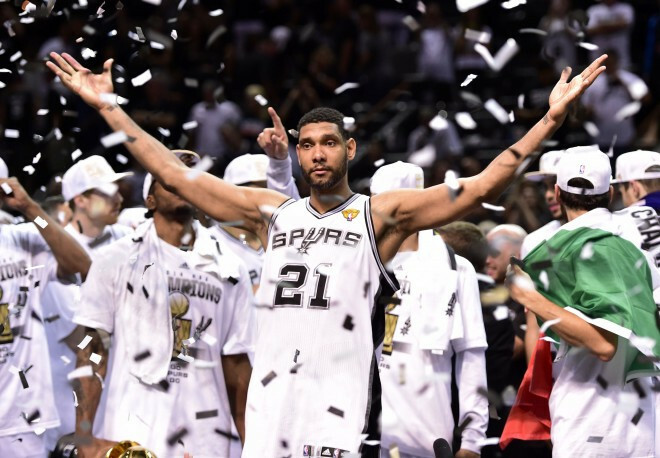 Anchoring the Spurs’ defense for virtually his whole career, it has resulted in multiple championships. Duncan may not be athletic, but his length has posed problems for the opposition. He may not be a great one on one defender compared to say, a Rasheed Wallace, but his overall team defense more than makes up for it. His shot blocking has been an underrated skill of his as he does it with smart timing, instead of relying on his hops. Tim’s unselfishness has been on display since the day he came into the league, both on and off the court. As a rookie, he shared the limelight with fellow hall of famer David Robinson and it wasn’t until Robinson himself handed over the reins of the team did Duncan took the team on his shoulders. He does not care about individual awards and stats, as seen with his numbers which are not that eye-popping compared to the team stats, where wins are the determining factor of greatness. 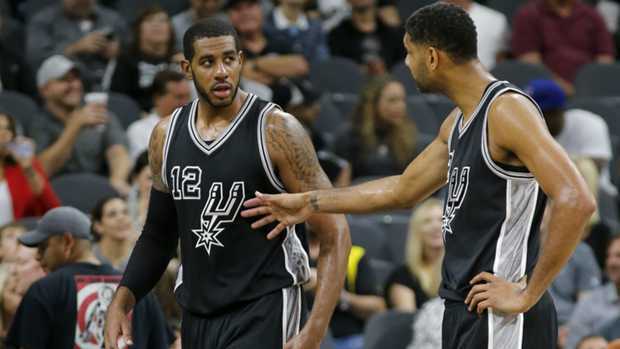 Later in his career, he has been taking pay cuts so that the Spurs could sign up young talent and the result is that San Antonio has managed to contend and even win another championship last 2014. Another facet of Tim that has been mostly under the radar is his leadership. This is because you don’t see him talking all the time on the court and being overly assertive with his teammates. However you could tell that his teammates look up to him and will follow his lead just by their body language. Duncan has proven himself as a winner and all-time great which. In effect, makes other players respect him, both as a person and a basketball player. It’s true that his prime has been over for a while and that these past few years, his game has significantly regressed compared to his peak, but he is still an integral part of the Spurs. His 5 championship rings, as well as MVP trophies, will mean a lot to his teammates, especially the young ones, as they should pick his brain and gain knowledge while he is still playing. We may be nearing the end of the Duncan era and it has been a pleasure to watch the greatest power forward ever from the beginning of his career, until the end.